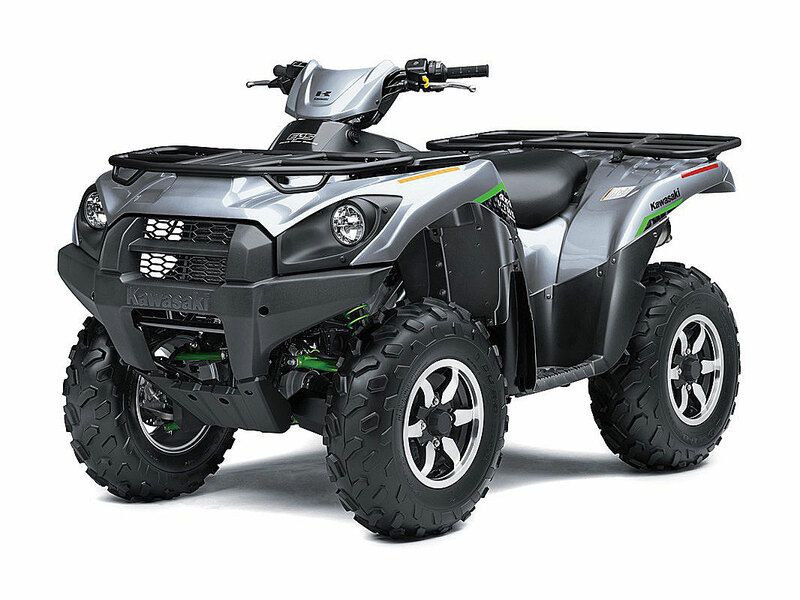 2019 Kawasaki Brute Force 750 Guide. Prices, Specs, and More. 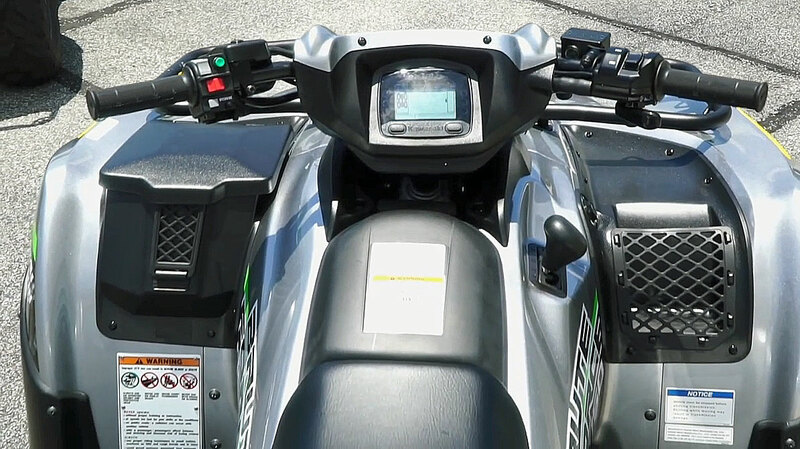 The 2019 Kawasaki Brute Force 750 hasn't changed significantly since major updates in 2012. Since there are more choices in the Big Bore class these days, we thought it was time to revisit the Big Brute. We liked the model in 2012 but we wanted to see how it stacked up against the current competition. 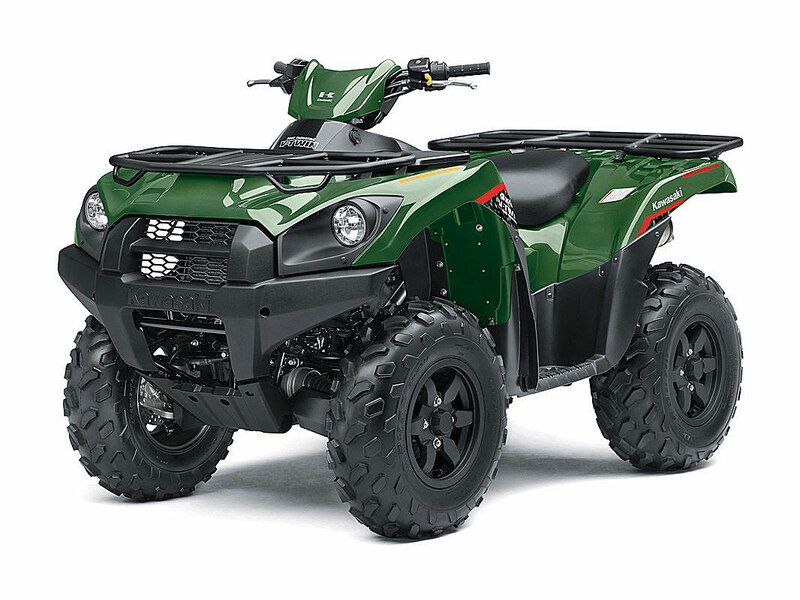 2019 Brute Force 750 4x4i in Timberline Green. 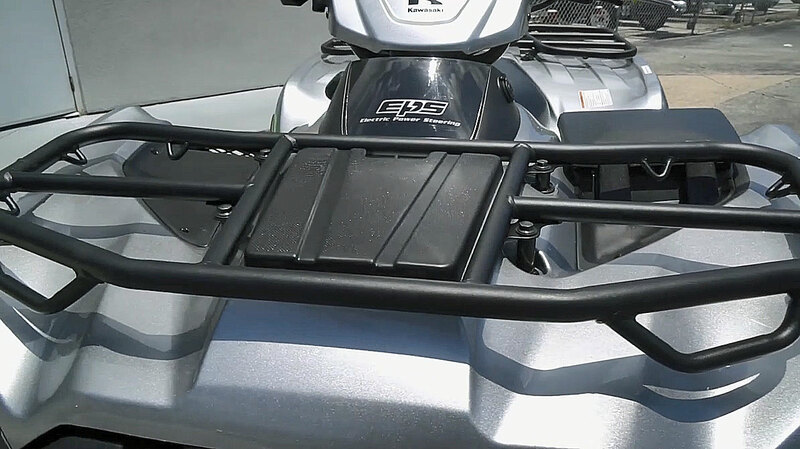 2019 Brute Force 750 4x4i EPS SE. The SE gets Atomic Silver paint with lime green accents and bright aluminum wheels. Includes all the features of the 4x4i and adds speed sensitive electric power steering. Bright White Brute Force 750 EPS. Vibrant Blue Brute Force 750 EPS. 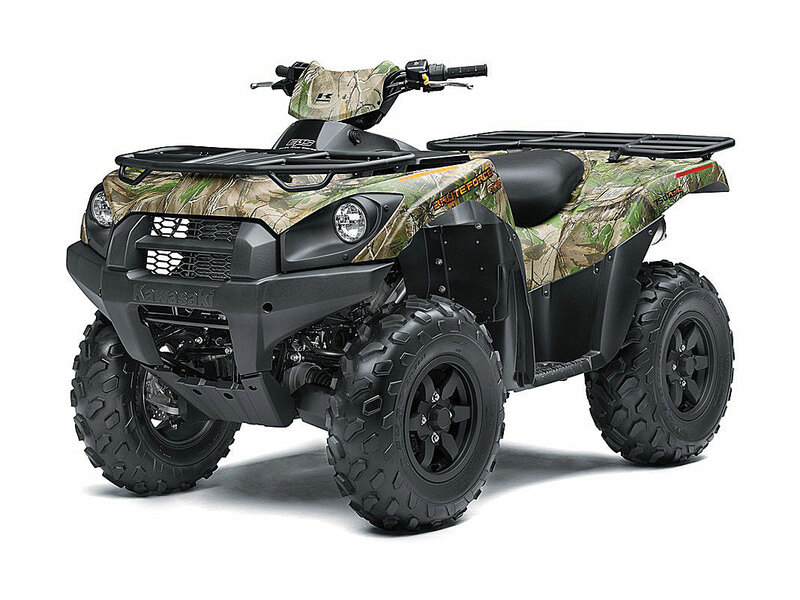 2019 Brute Force 750 4x4i EPS Camo. Includes all the 4x4i EPS features and adds the Camo bodywork. 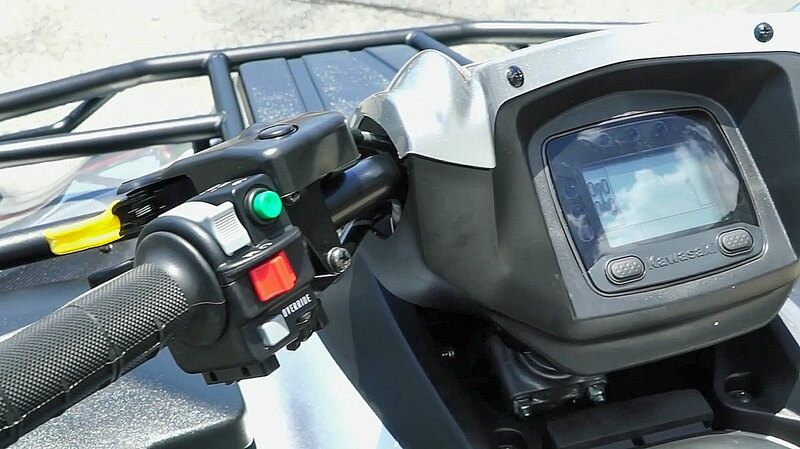 The yellow lever in the photo above is the variable differential lock. 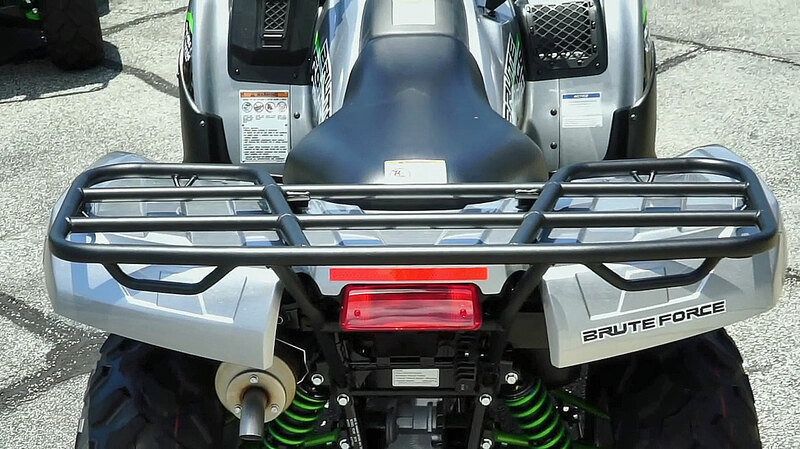 It's one of the most unique features of the Kawasaki Brute Force 750. The amount of front differential lock varies with the distance the lever is pulled rearward. In spite of it’s smaller dimensions, the Brute Force 750 offers plenty of room for the rider, and generous onboard storage. There's a covered storage box on the left and a cubby hole pocket with net on the right. Shifter placement on the right is easy to reach. The smallish multi-funciton digital gauge is relatively easy to see. The center mounted sealed rear brake trades some ultimate braking power for less maintenance and better reliability. 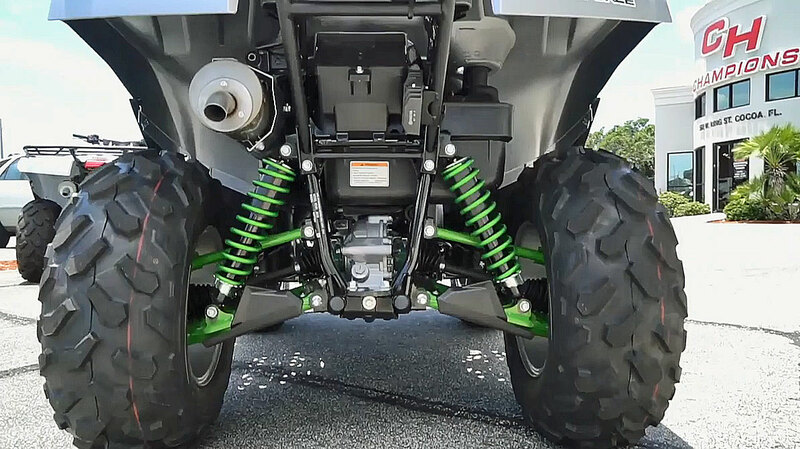 Independent rear suspension has less travel than some other makes, but the gas charged and adjustable shocks have good control at moderate speeds. Exhaust note from the V-twin is one of the best of any ATV. Steel tube front rack with covered storage box in center. Steel tube rear rack and well padded tapered seat. 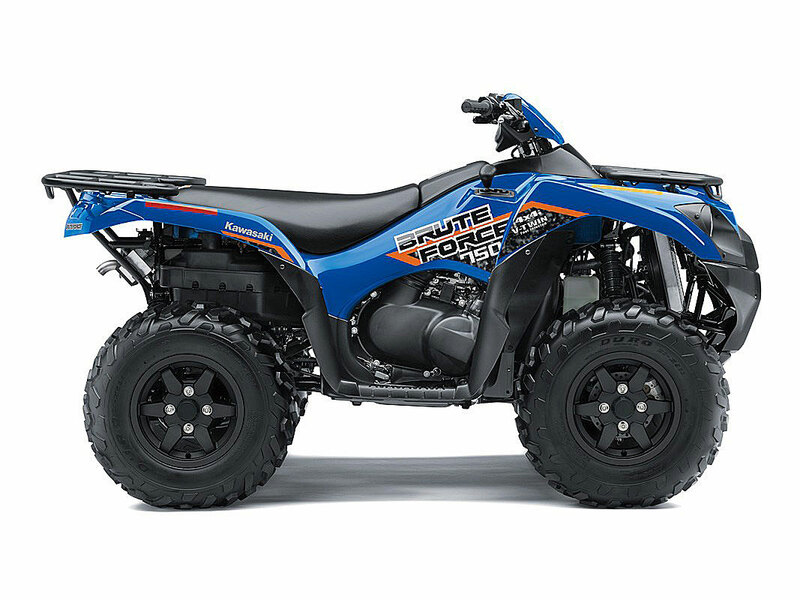 The 2019 Brute Force 750 still offers plenty of value to the utility and recreation rider. It might seem a little dated compared to some of the newer competition but that's not always a bad thing. Some folks prefer the steel tube racks to the more modern plastic composite racks, others don't really have a need for the extra power and suspension travel of the competition. In fact, it would take a very highly experienced and skilled rider to ever feel limited by either the power or suspension travel. The excellent throttle response, slightly smaller dimensions, and lighter weight work well for the vast majority of riding situations. The lever operated variable front diff lock is more controversial. It does offer a few advantages though. The rider determines how much and when to lock the front diff and the reaction is instant. Automatic locking diffs don't engage until the wheels are spinning. Other locking systems require a stop to engage a button or lever to lock the diff. Another stop is needed to disengage the diff. The biggest disadvantage is trying to grab and hold the lever while bouncing through rough terrain. With some experience, it's manageable and shouldn't be too much of a problem. 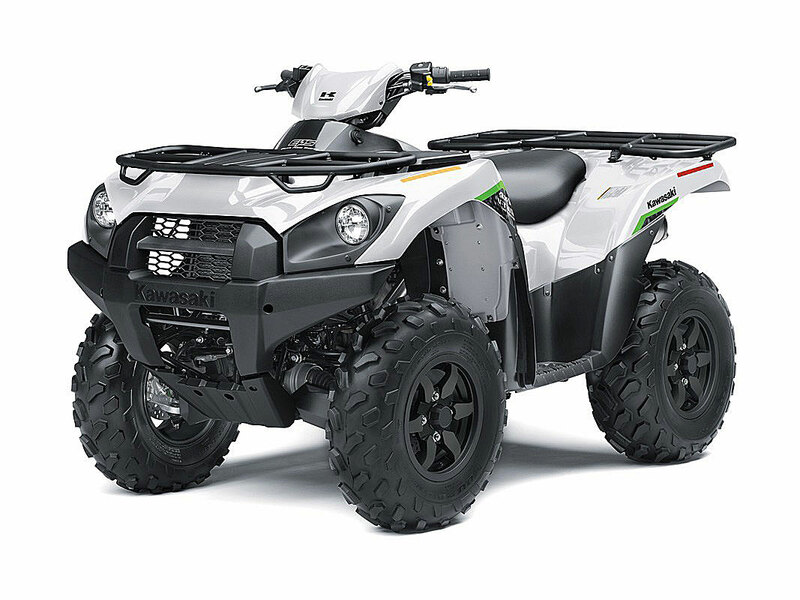 With a base price of $8,999, we think the Brute Force 750 is a great value. Since it hasn't changed in the last several years, an even better deal might be possible on previous year carryover models.